Last week I had a little black bag full of goodies arrive on my doorstep from the lovely people over at Maille. Inside the bag lay two jars of mustard. 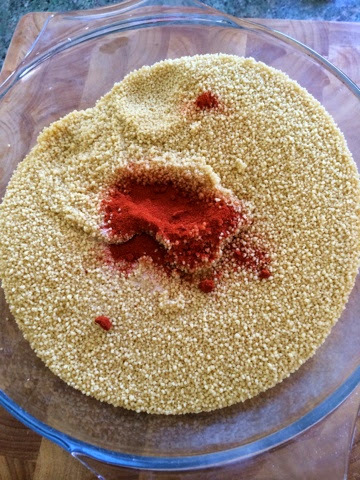 As the sun was shining and the grass was freshly cut, I felt it was time to bring a little Moroccan spice to the kitchen. 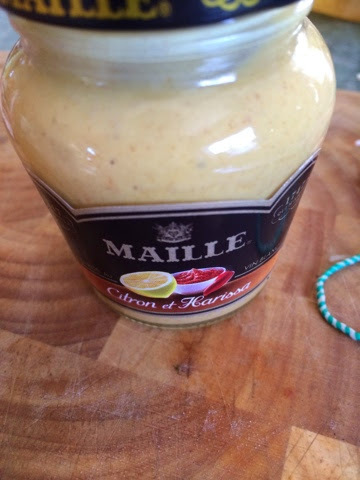 This little jar of joy jumped out at me straight away, Maille mustard with white wine, lemon and harissa spices. I watched a program a little while ago about cheaper cuts of meat (I think it may have been Nigel Slater..) and he barbecued a breast of lamb. I hadn't heard of this cut before and was intrigued to try it. We had one for a roast a few weeks ago and although its incredibly fatty, it was probably one of the nicest bits of lamb i've ever had. It was incredibly tasty with a crispy skin that was to die for. 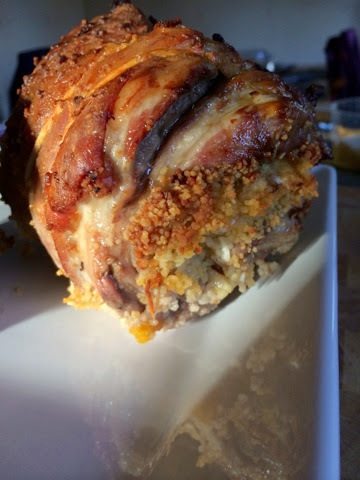 When thinking what to make, I thought I would try another breast of lamb, but stuff it full of lovely things that would take on the flavours of the fat as it rendered down. 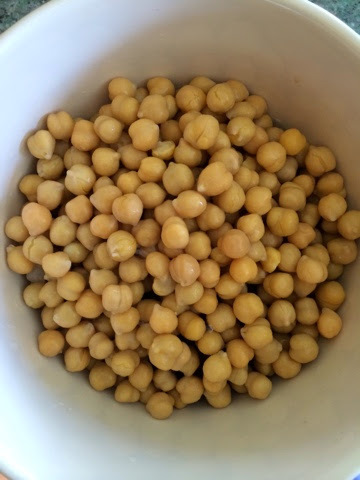 Start by placing the cous cous into a large pot (the pot does need to be larger because the cous cous swells quite a bit!) and add the paprika and salt. Cover with the stock and clamp on a lid whilst you get on with the rest. 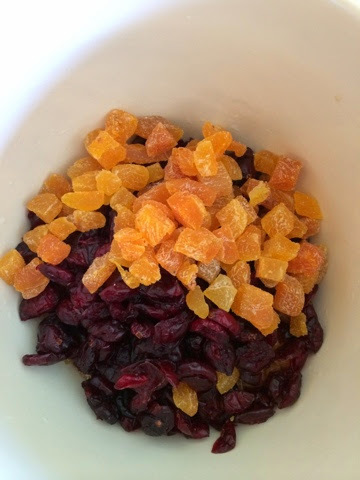 Place the apricots, cranberries and chickpeas into another bowl and cover with boiling water for a few minutes just to soften them up slightly. This isn't essential as the rendered fat will do this during the cooking process, but I wanted to serve some cous cous on the side as well as inside the breast. 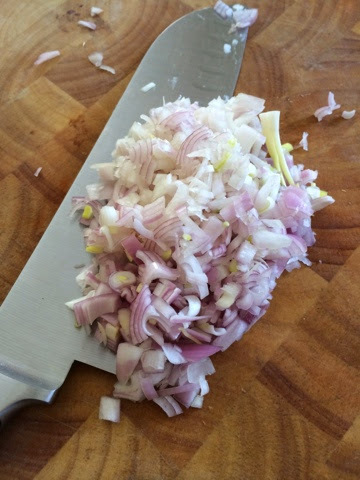 Finely chop the shallots and add them to the cous cous along with the apricots, cranberries and chickpeas. 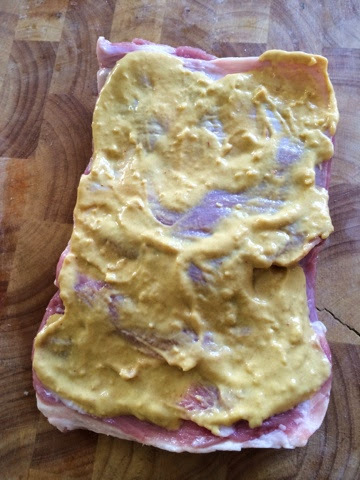 The lamb breast from sainsburys is part of the Basic range. I managed to get 2 pieces for a little under £4 each. They come rolled up and tied with string which is perfect for a normal roast however I wanted to stuff mine. This mustard is incredibly mild. I had a little spoonful before starting to get an understanding of the ingredient and its nothing like a normal mustard. The flavour however is mouth watering. Drizzle a little garlic oil over the lamb and season with a bit of salt and pepper. Pop it in the oven and sit back with a glass of wine in the garden. 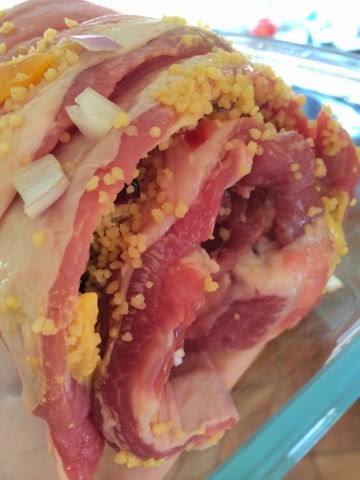 One thing I should mention is that it takes quite a bit of cooking, mostly down to the fat content of the lamb. Oven times will vary depending on your own oven but you will have to judge that yourselves. I cooked mine for 2 hours and then placed the left over cous cous in the bottom of the pan to absorb the juices and continued to cook for a further 30 minutes. 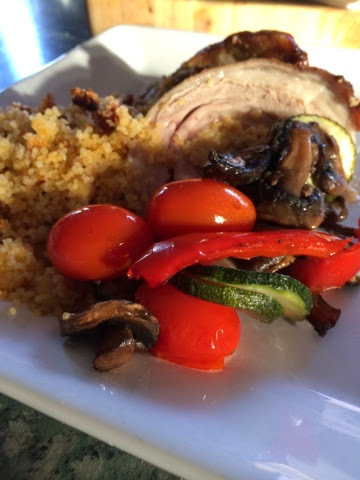 I served this with cous cous and also some roasted courgettes, peppers, mushrooms and tomato's. The perfect meal to end a gloriously sunny day! I do hope you all managed to get through that post without laughing every time the word breast came up...Because I didn't!